Hiring equipment can sometimes help make things possible that would otherwise be, at least, challenging for someone with limited mobility – a hospital visit, a special family day out or a holiday. For instance, a knee walker or a wheelchair can be the answer to carrying on with daily life after an operation or while recovering from a broken limb. Hiring items can also be a useful way to help you decide if that type of equipment is right for you, an opportunity to ‘try before you buy.’ For instance, you may not feel you need a wheelchair just yet – trying one for a day out can help you decide what type of wheelchair would best suit you once you are ready. You may feel nervous about driving a scooter or being in control of a power-chair (we make sure you are comfortable with the controls before allowing the product to go out on hire) and hiring one for a short time can help you decide if it is for you and can save an expensive mistake if you find it is not. 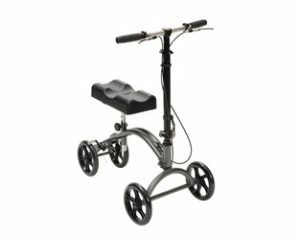 We have a selection of mobility aids available to hire. Below you will see brief details but please do call us at the shop for further details. Scooters: We have a range of small scooters that can be transported in the boot of a car, as well as larger scooters where we can arrange drop off and pick up if required. It is a good idea to discuss your needs in advance so we can match a scooter to your requirements. 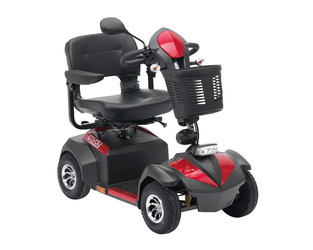 Powerchairs: We normally have a variety in stock. Please call for advise as for scooters. 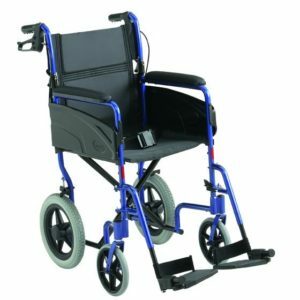 Wheelchairs: We have a selection of both transit and self-propelled chairs available at all times. We also are happy to provide a suitable cushion for a small extra charge. We have elevated footrests, (often requested for supporting broken limbs), for some of our hire wheelchairs but it is wise to check in advance for availability of these accessories. Walking Aids: As with wheelchairs we endeavour to have both triwalkers and rollators available to hire at all times. These are often requested when a relative is coming to stay and the extra stability they offer gives peace of mind to all. We also have walking frames and crutches for hire, and a bed guard. Ramps: We have a selection of sizes available. Again, it is wise to contact us in advance if possible to check which type of ramp you need. Knee Walker: We have recently added a knee walker to our range of walking aids available. This is particularly useful for those recovering from surgery and can be a good alternative to crutches. safe return of the hire product, again the amount varies depending on the value of product taken. We are usually able to deliver and collect the larger items free of charge in our local area for any hire period of one week or more. Additionally, if on returning the hired product you decide to buy something in that range, we will refund the hire charge paid (max. two weeks) against the cost of that item.